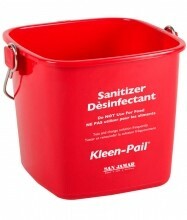 Cleaning and sanitation buckets available in various colours and sizes! A selection of products available to choose the proper sizes for your establishment! 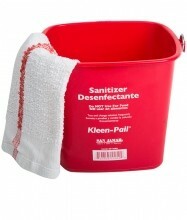 Keep your cleaning products effective by ensuring that they are separate from each other! 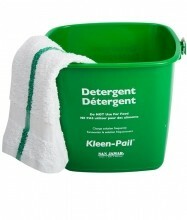 Cleaning buckets for sanitation and detergent available in 3QT or 6QT!